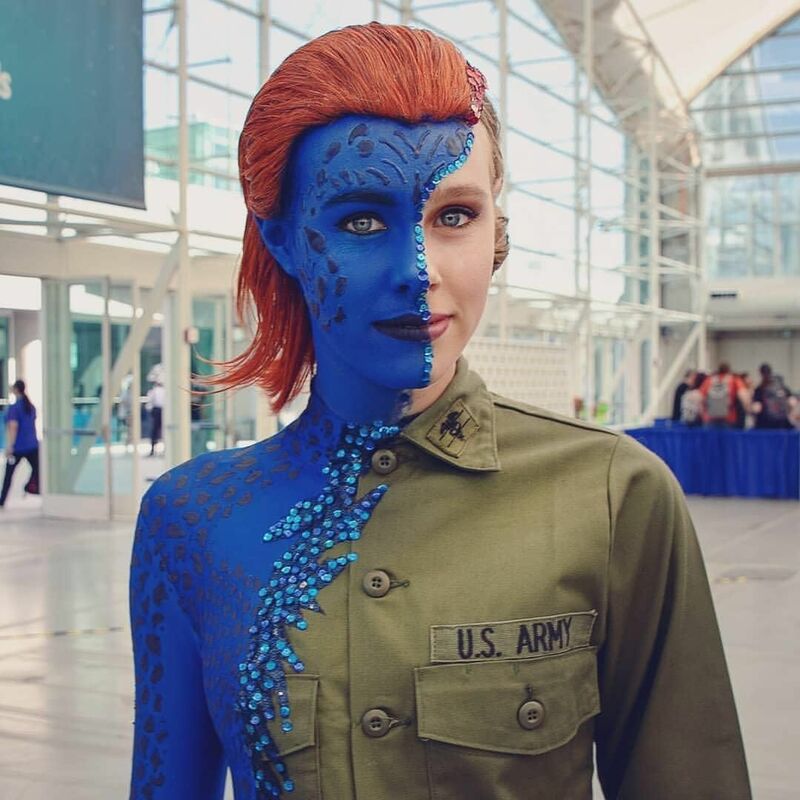 X-Men: Mystique cosplay by MagnetoMystique – AiPT! When your cosplayer name matches the character you’re portraying, chances are good it’s gonna be a skillful representation. This action shot is one of our favorite poses. #magnetomystique #cosplay #comiccon #comiccon2018 #magnetocosplay #mystiquecosplay #sdcc #sdcc2018 #sandiegocomiccon #comicconinternational #comicconinternational2018 (Mystique inspired by Rebecca Lindsey NYCC2016). Streetlights on West Harbor Drive gave some wonderful drama to our cosplays #comiccon2018 #magnetocosplay #mystiquecosplay #sdcc #sdcc2018 #bff #sandiegocomiccon #comicconinternational #comiconinternational2018 (Mystique inspired by Rebecca Lindsey NYCC2016).